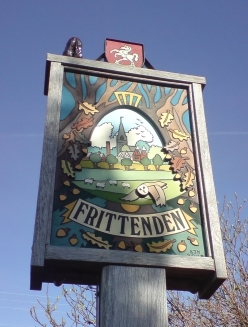 Good news – we’re planning another small folk festival at Frittenden again this coming year, to be held on the 4th April 2009. This time, we’ve decided to focus on performers from the folk revival in the South-East of England, and we’re particularly pleased to say that some of the folk scene’s most respected singers of traditional songs have agreed to perform for us, as well as step dancers. This is how the proposed event pans out! We also have Kerry Fletcher and Rosie organising and leading the step-dancing side of things, and long-established local dance band Florida will play for a dance at the village’s Memorial Hall with the help of caller Chris Pitt, who has also promised to perform some comic songs from his inimitable repertoire along with his old musical partner Gavin. Looking slightly further afield, from Sussex we have rising singing, melodeon and fiddle star Matt Quinn, who will be down from his Newcastle University folk degree course – and he says he plans to bring both his dad and fiddle-playing friend Tom Moore. Also on the bill from from Sussex we have young cellist-singer Tom Redman. From Essex we have a real treat – one of the best performers of traditional songs in England today, Annie Dearman, more than ably supported by her melodeon and concertina playing partner Steve Harrison. Finally we have a special guest originally from Lincolnshire and now resident in Derbyshire – Jack Crawford. 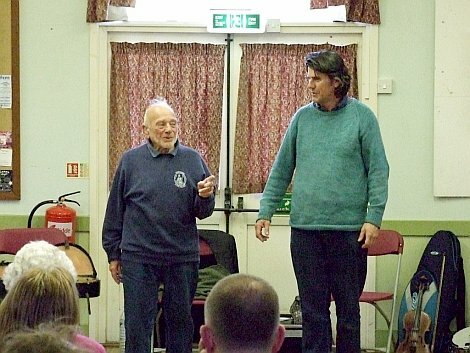 If you don’t know him, Jack’s a splendid singer, a member of the National Council of the English Folk Dance and Song Society and a trustee of the Vaughan Williams Memorial Library. He has just released a new CD also featuring Mary Humphreys and Anahata on the well known Wild Goose label. I’m sure he will bring a bundle down from Derbyshire for anyone who is interested in buying one! The event will include music sessions, workshops, a concert and a dance. The sessions will again take place at the splendid Bell & Jorrocks pub – those who came last year and found it a bit crowded will be pleased to know that it now has two more rooms that we will be able to use. With the permission of the sound recordist and the performers involved, we’d like to put up some sound samples over the next few months. As it should be, the focus at the Gathering was on Kent, but we were very pleased when people came from other areas to be at the event. The first samples we have to put up are a real treat starring the prize-winning step-dancer Pam Buckley, who very kindly came down from Norfolk with her talented family to show us how it’s done! Within living memory Kent was well known for step dancing, and we were delighted to be able to feature it at the Kent Gathering. Listen to this MP3 track of Pam dancing to a waltz played by one of the Gathering organisers, Gavin Atkin and introduced by another, Paul Cowdell. 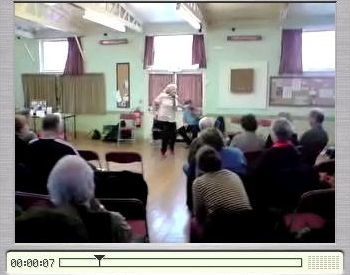 This cllip shows a short video of Pam dancing to Tim Brooks’ playing at the afternoon concert. 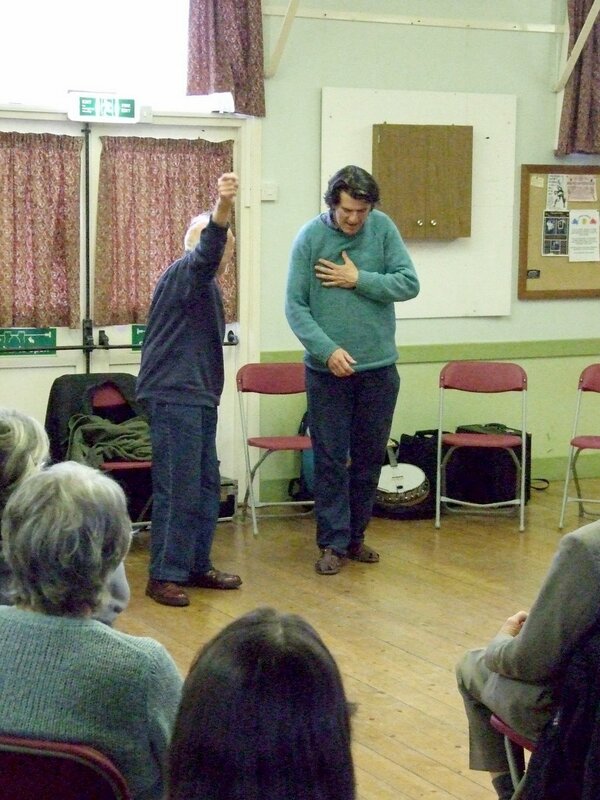 Stepping is alive and well in East Anglia, thanks to the stepping families, and local music supporters and researchers who have kept it going – see the link to the East Anglian Traditional Music Trust on the left-hand side of this website. Some great news is that stepping has a real future in East Anglia, with many youngsters taking it up. This is Shannon Gaskin, a very young member of Pam’s family who is keeping stepping very much alive. Here’s Shannon stepping to Gavin’s playing. Finally, it’s important that we don’t forget the singers who appeared at the Gathering. Yvette Gaskin, also down from Norfolk, volunteered to sing and quietly announced that she had lived in Ireland for a while and had picked up the music. Then she took a breath and sang superbly! We very much hope to hear much more of her not too long away. 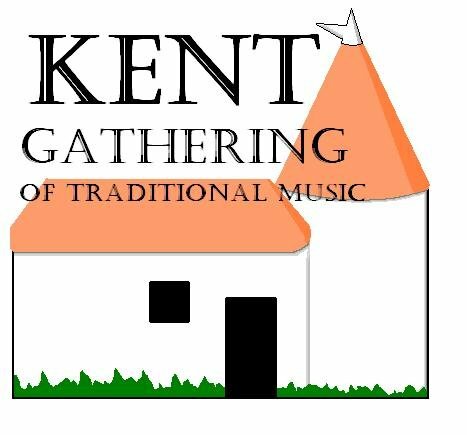 Kent Gathering – a souvenir and an appeal! Now the Kent Gathering has taken place, we thought it would be nice to make the programme of the day available in pdf form, so here it is. Wasn’t it just a great day? 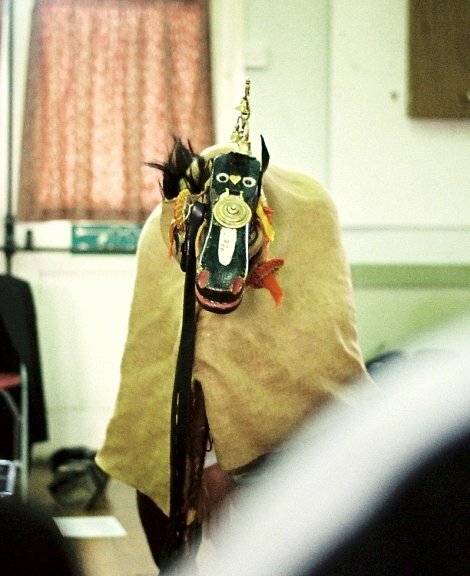 We’d also very much like to put up a gallery of photos (carefully chosen, of course!). The committee were just a little too busy to take many themselves, so if anyone has some they would like to share, please contact us via the comments link below. – FRIDAY EVENING SESSION at The Bull public house, Linton from 9pm or so. We have permission to play and sing if the mood takes us, and the pub sells food if you’re able to get there early enough. The phone number is 01622-743612 if you wish to book. It’s about 15 minutes south of Maidstone on the A229 and can be found here. – SATURDAY MORNING STEP DANCING WORKSHOP at 10.30am at the Memorial Hall, Frittenden (£2 adults, £1 under-17s who are welcome with parents). Get directions here. – SATURDAY LUNCHTIME SESSION at the Bell & Jorrocks pub, Frittenden from mid-day. 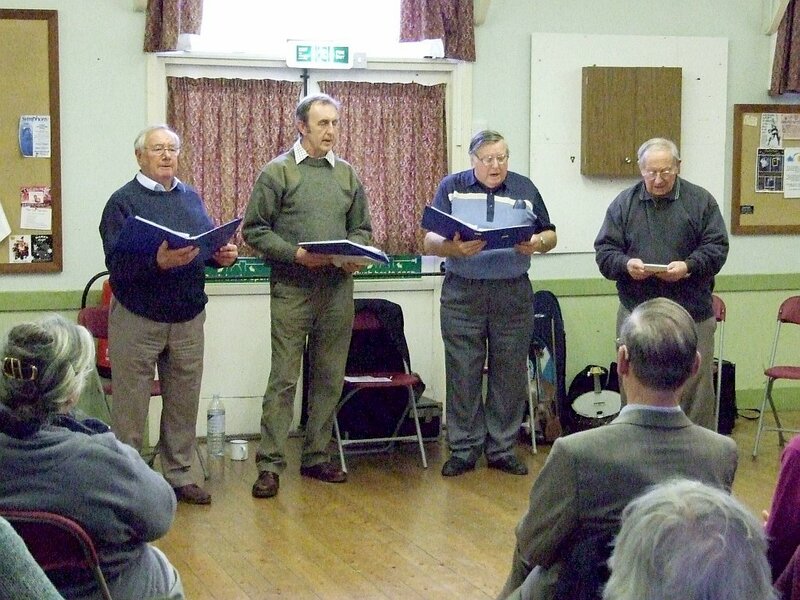 – SATURDAY AFTERNOON CONCERT at the Memorial Hall, Frittenden from 3.30pm. – SATURDAY EVENING DANCE at the Memorial Hall, Frittenden from 8pm. – An informal evening get-together the evening before (on the 28th, that is), at The Bull public house, Linton from 9pm or so. We have permission to play and sing if the mood takes us, and the pub sells food if you’re able to get there early enough. The phone number is 01622-743612 if you wish to book. It’s about 15 minutes south of Maidstone on the A229 and can be found here. Please note that tickets are generally available on the day, but locals can buy advance tickets at the village shop. Let us know if you’re coming a long way and want to reserve a ticket. If you’re coming to the session, please let us know if you want to eat – it will help the landlord and landlady if we can warn them of the numbers to expect to want lunch. This applies particularly if you are a vegetarian! Call us on 01622 832871 or 01622 832461, or email gmatkin@gmail.com. Our thanks go to Howard Lilley for loaning us a set of signboards – there are now posters on all the roads into the village! 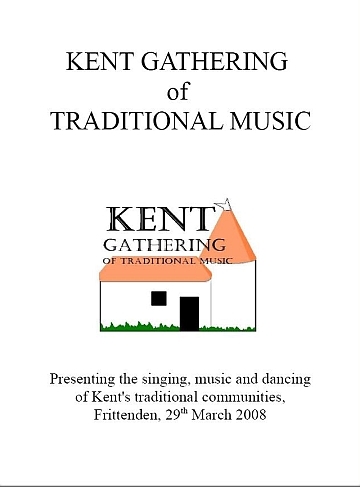 Download a handbill: Kent Gathering Handbill. Download a Kent Gathering ceilidh or barn dance poster. Where is Frittenden? Click here for the information! 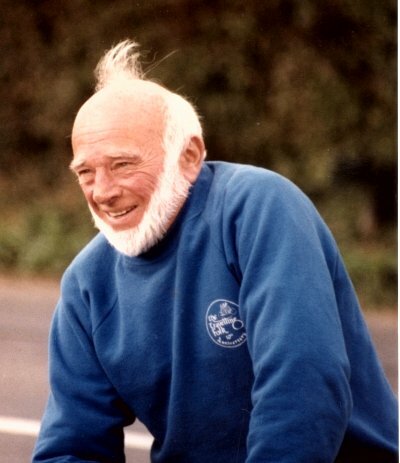 Den Giddens wears his Travelling Folk jumper with pride. We’re delighted to announce that Den Giddens has agreed to sing for us! 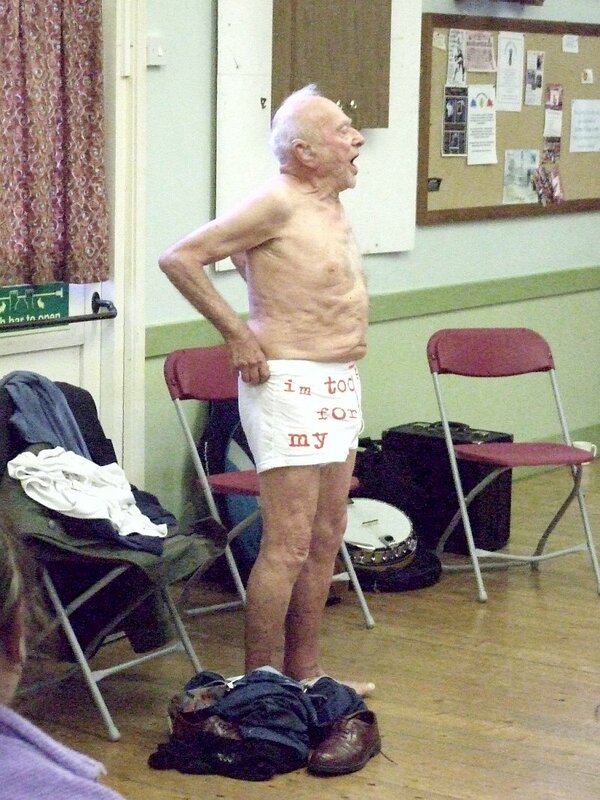 At 87, Den is a real old-timer with a ready grin and a fund of comic songs. He’s well known on the West Kent music scene, as he ran the well known Elsies Folk Club for many years, and is a founder member of the long established and very successful Travelling Folk, which organises singaround sessions in pubs in West Kent and the Weald near Tonbridge on the first and third Thursdays of the month. He has a CD A Little Bit off the Top out on the Wildgoose label, and a little while ago featured on the BBC Radio 4’s programme about family life Home Truths. Click on the link for more on Travelling Folk. 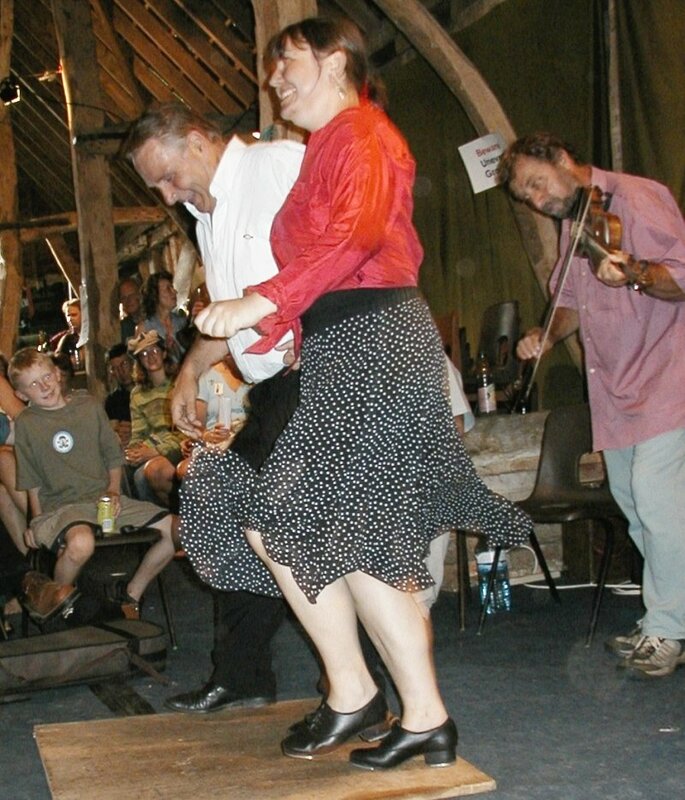 Kent’s Kerry Fletcher is a traditional dancer of many styles, from waltzing to clogging, but at the Kent Gathering she will be focusing on Southern English-style stepping. 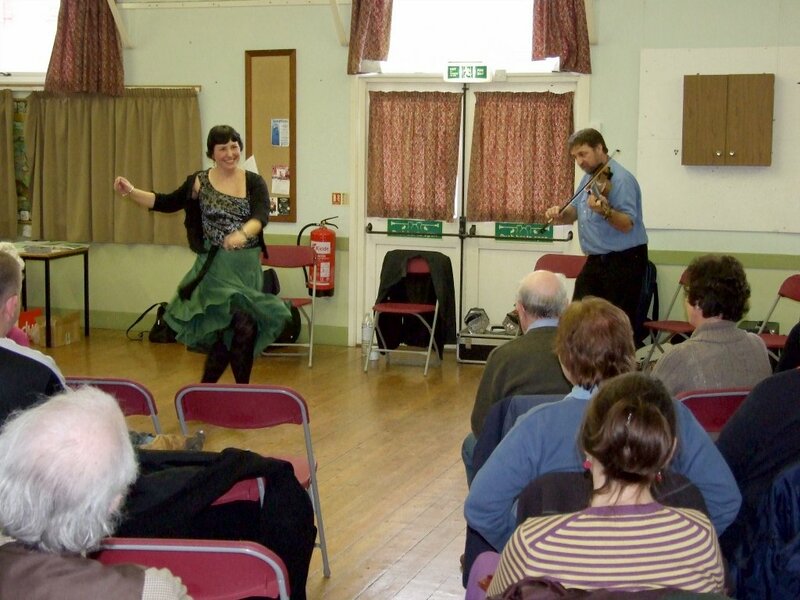 Accompanied by her regular musician Tim Brooks, she’ll be teaching stepping in the Village Hall from 10.30 am (open to adult and children with parents, entry £1.00 for under-17s, £2 for adults), and performing at the lunch-time session at the Bell & Jorrocks and in the afternoon concert. We’re very lucky to have Kerry and Tim, as they’re very experienced dance workshop tutors, and accomplished performers. They’ve been working together at festivals and workshops for several years now, and particularly enjoy encouraging new people to get up and take a step or two – or three! 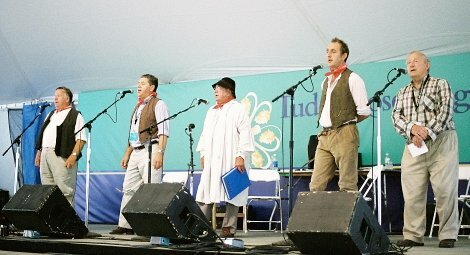 along to the English Country Music Weekend at Frittenden in 1986, and this was one of the last times Charlie sang in public before his death in 1988.